Thick plates and large columns provide you with the stable platform you need for your demanding application. 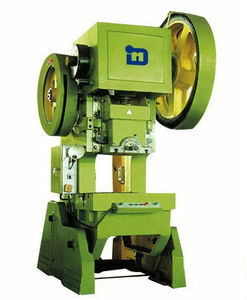 The Machine use Rigid rotated bond clutch rigid and well supported. Protective fence and the safety interlock to ensure the operation safety. 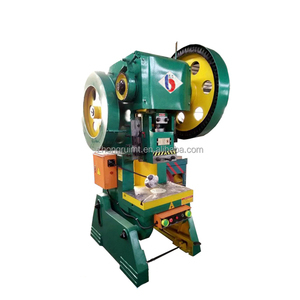 6 YRS Maanshan Dama Machinery Manufacturing Co., Ltd. The lowest investment cost, maximum to acheive the CNC automation of sheet metal processing and improve product quality and efficiency. 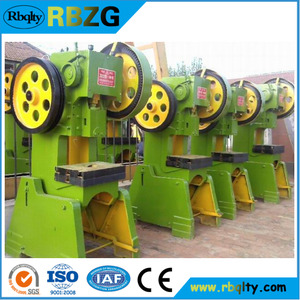 At the same time, it can reduce production costs and reduce the bumber of workers and labor intensity level. 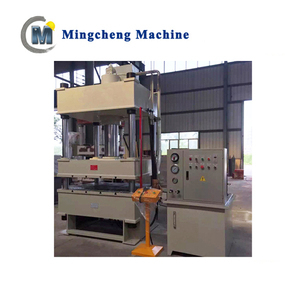 We have 18 years experience on manufacture metal working machines and we export our machines to all the worldwide market and have the best response from customers. 2.All the spare parts of the machine were covered by some soft materials,mainly using pearl wool. So always,our machines has enough quality standard to make sure the machine can work more than the real warranty period. And where there are our machines, there are good reputation and terminal user satisfaction. 3 YRS Anhui Lifu Machinery Technology Co., Ltd.
4. Stand-alone electrical control system which is reliable, intuitive motion, easy for maintenance. 4. Factory visiting After-sales Service 1. Training how to ins tall the machine . And where there are our machines,there are good reputation and terminal user satisfaction. pneumatic metal cnc steel washer full automatic eyelet types of cold aluminium pot making power press machine 1,aluminium pot making power press machine is made of high quality steel plate ,which is processed by annealing process ,improving the accuracy ,stability and reliability of the whole machine 2,Double crank power press machine , its crankshaft ,gear shaft and the big gear are made of high quality steel ,which are processed by heat treatment,improving the mehanical properties and durability. 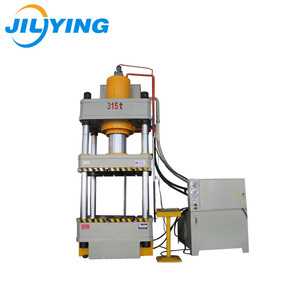 3,In order to ensure the smooth operation of the machine a set of pneumatic balancing cylinder device is adopted 4, Adjust the model accuracy of up to 0.01mm,safe ,convenient and reliable . 2 Have you exported to some countries9 We mainly exported to developing places ,such as Asia,Africa and so on 3What is the difference between JH21 series and J23 series9 JH21 series are more safe , more efficient ,more durable than J23 series But J23 series is cheaper. 3 YRS Zhejiang Kemade Machinery Co., Ltd. Adopting centralized control buttons, with both manual and semi-automatic operation mode. 3.With centralized control button, manual and semi-automatic two mode of operation. We check the finish machine one by one to make sure the quality is good. 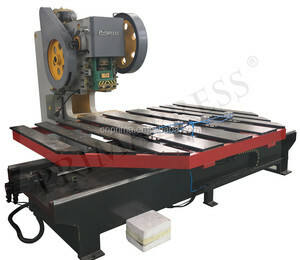 ,ltd is a machine tool factory specialize in press brake, shearing machine and hydraulic press, ironworker. Located in Bowang Industrial Zone, our factory has convenient transportation and skilled manufacturing technology. 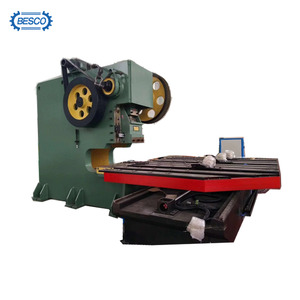 With over 50 offices in mainland China and agents in Spain, Iran, Indonesia, Malaysia, our factory has been making efforts to offer our clients the best machine solution. 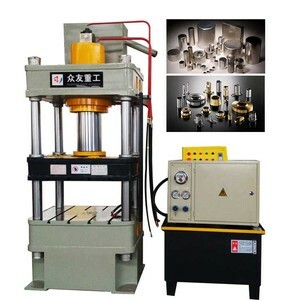 Alibaba.com offers 4,155 washer making machine products. 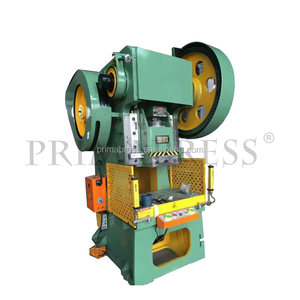 About 8% of these are punching machines, 1% are other metal & metallurgy machinery, and 1% are paper product making machinery. A wide variety of washer making machine options are available to you, such as free samples, paid samples. There are 4,155 washer making machine suppliers, mainly located in Asia. The top supplying country is China (Mainland), which supply 100% of washer making machine respectively. Washer making machine products are most popular in Africa, Mid East, and Domestic Market. You can ensure product safety by selecting from certified suppliers, including 1,242 with ISO9001, 1,002 with Other, and 69 with ISO14001 certification.